Priya Prakash Varrier's Bollywood debut film 'Sridevi Bungalow' has stirred up a controversy as it seems to be the mockery of veteran actress Sridevi and her tragic death. Prasanth Mambully is helming this project. The teaser of the film is involved in a controversy as it is mocking the life of late veteran actress Sridevi's life. It is known that Sridevi passed away last year by falling in a bathtub. In the film teaser, Priya(Sree Devi) plays a lonely actress. 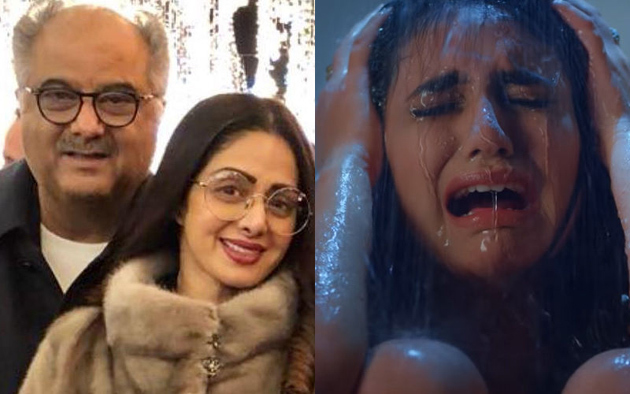 At the end of the teaser, the actress is seen lifeless in a bathtub just like the way how Sridevi's tragic death took place. Sridevi's husband Boney Kapoor has sent a legal notice to the movie unit. "We have received a legal notice from Mr. Boney Kapoor last week. We will face it. My film is a suspense thriller. I have already told Boney Kapoor that Sridevi is a common name and my film's character also happened to be an actress. Even if it is a legal case, we will face it." Said director Mambully. Priya Varrier is yet to respond whether the film is actually based on the actress or not. Her father refused to comment on the legal notice and stated that it is the director and producers of the film to comment.